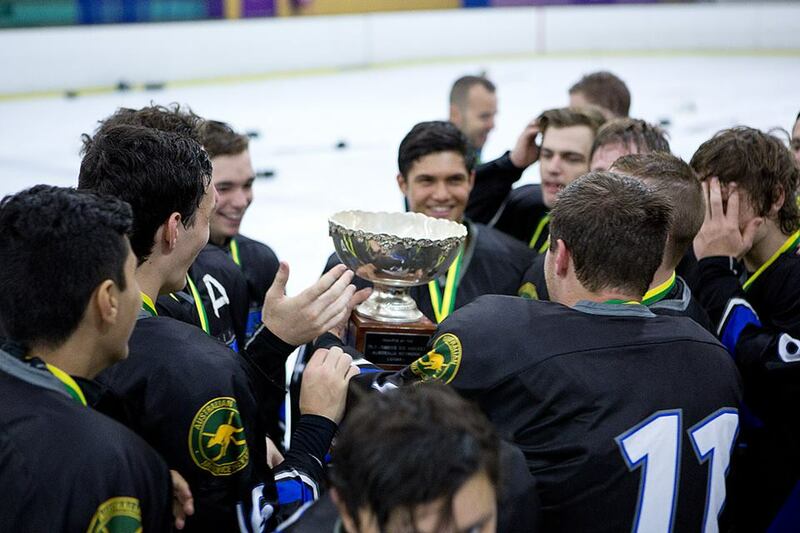 In the four years of the AJIHL competition the Sydney Sabres have won two titles defeating the first placed Melbourne Glaciers in a tight 6-4 final over the weekend. Ellesse Carini had a four point haul (2 goals, 2 assists) including the game winner. The high scoring affair started early with a 1-1 scoreline five minutes in Mohak Isaar and Darcy Flanagan getting their teams on the board. But the Glaciers pushed ahead 3-1 lead courtesy of Corey Stringer and Gavin Birchler. The MVP Ellesse Carini clawing his team back into the game 3-2 with a nifty shift to the middle and deke on Jack Hayes just before the end of the first. The Sydney Sabres continued to pepper the net with shots as Sabres veteran Saxon Air finally broke through tying up the game 3-3 in the second period. The Glaciers regrouped after the second period with Tim Vanderwolf netting the go ahead goal set up by leading points scorer Caleb Butler. Daniel Patacky responded two minutes later after tearing down the wing and popping it short side to make it level again 4-4 at the 11 minute mark. The teams exchanged scoring chances with the no success as Hayes and Mendoza-Kehlett continued to shut the door. Carini managed to score the game winner with 5 minutes remaining before Cian O’Reily finished off the game with an insurance marker with a minute to go. The Sabres held on 6-4 to become the 2016 AJIHL Champions.